Dr Jordi Monés, the Director of the Institut de la Màcula, has taken part in Novartis’ ‘VisionArt’ in Seville as scientific director. The meeting, entitled ‘New perspectives in the management of age-related macular degeneration’, addressed the pathology from different angles in order to analyse its status. During the meeting, the latest public results of clinical trials into the pathology were presented, together with the role of artificial intelligence and Big Data in ophthalmology or gene therapies in dry or atrophic AMD. 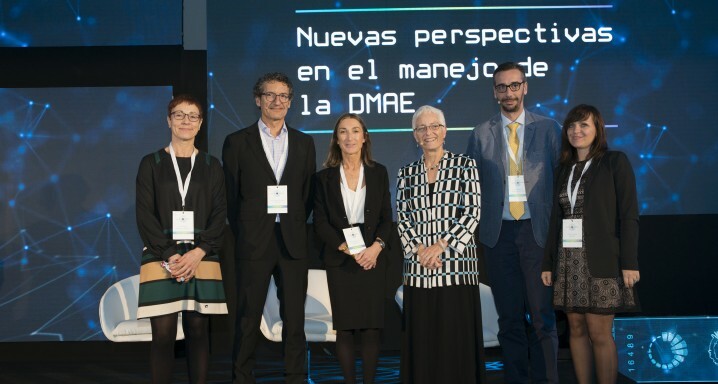 For Dr Jordi Monés, who is a global expert on AMD, the key to success in the treatment of wet or exudative AMD "involves the optimisation of treatments so that there are increasingly fewer patients without visual recovery or with vision loss. This includes implementation of the most recent developments in the progress in new drugs, but also their use in the most optimised and individualised manner without compromising the resulting benefits. Moreover, it is important to improve diagnosis; although great progress has been made in this. And to generate treatments that are earlier, more proactive and sustainable in the long term as the life expectancy of our patients is long". He also wished to dispel myths such as, come what may, patients affected by age-related macular degeneration will end up losing their sight: “This is not true. The main cause of vision loss is that wet or exudative AMD patients are under-treated. If they are proactively treated they will retain their sight for a long time; in such a way that, although some might lose it after three years, many will not". Another myth that Dr Monés wanted to clarify was that the cause of long-term vision loss is dry or atrophic AMD: "This isn’t right either. The reason would be scarring as a result of not having had sufficient treatment. Finally, another great myth is that anti-angiogenic drugs cause more geographic atrophy. This is certainly false as recent studies were unable to show this. Patients develop geographic atrophy because some AMD subtypes cause it more than others. Atrophy is possibly an underlying condition and it is the natural course of the disease”.